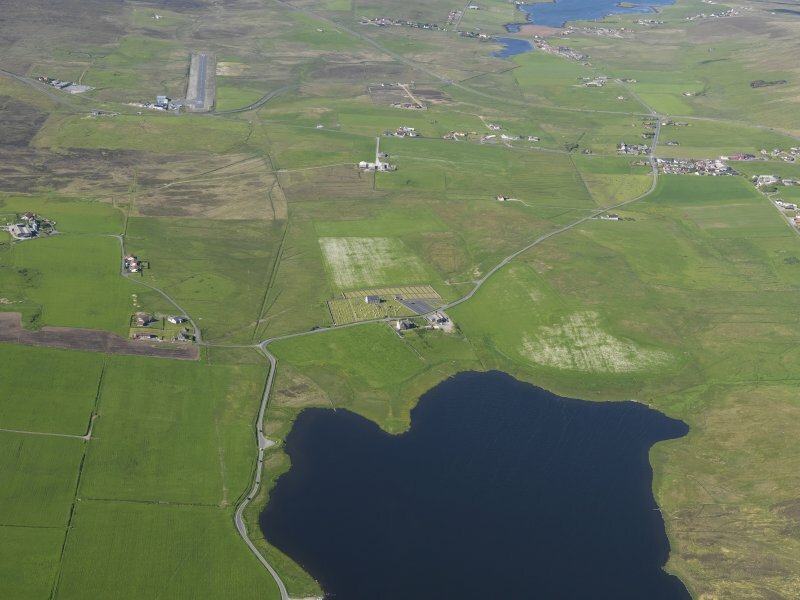 General oblique aerial view of the northern end of the Loch of Tingwall showing the Law Ting Holm with Veensgarth village and Tingwall Airport beyond, looking N.
Oblique aerial view centred on the Law Ting Holm, taken from the N.
Oblique aerial view centred on the Law Ting Holm, looking SW.
eneral oblique aerial view of the Loch of Tingwall with the Law Ting Holm in the foreground and Scalloway in the distance, looking S.
General oblique aerial view of the Loch of Tingwall with the Law Ting Holm in the foreground and Scalloway in the distance, looking SSW. 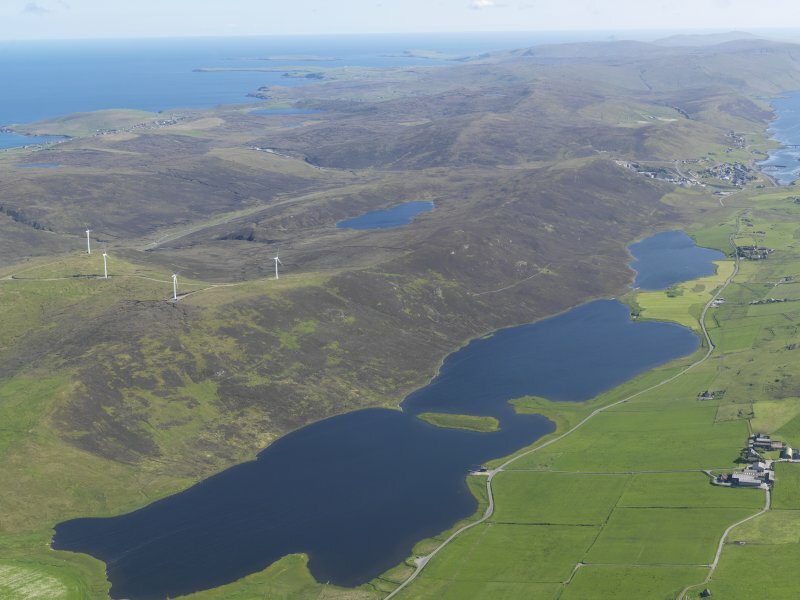 Oblique aerial view centred on the Law Ting Holm, looking E.
Oblique aerial view centred on the Law Ting Holm, looking SSW. 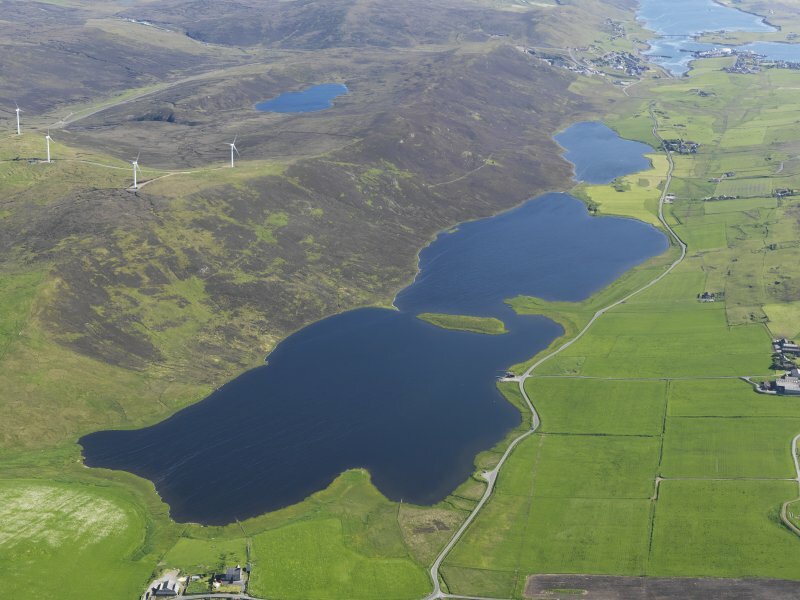 Oblique aerial view centred on the Law Ting Holm, taken from the WNW. 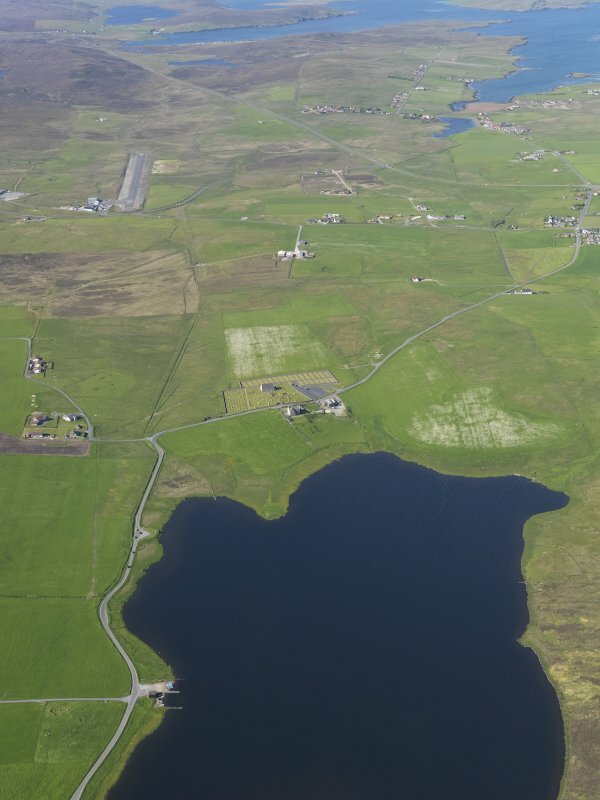 General oblique aerial view of the northern end of the Loch of Tingwall showing the Law Ting Holm with Veensgarth village and Tingwall Airport beyond, looking NNE. 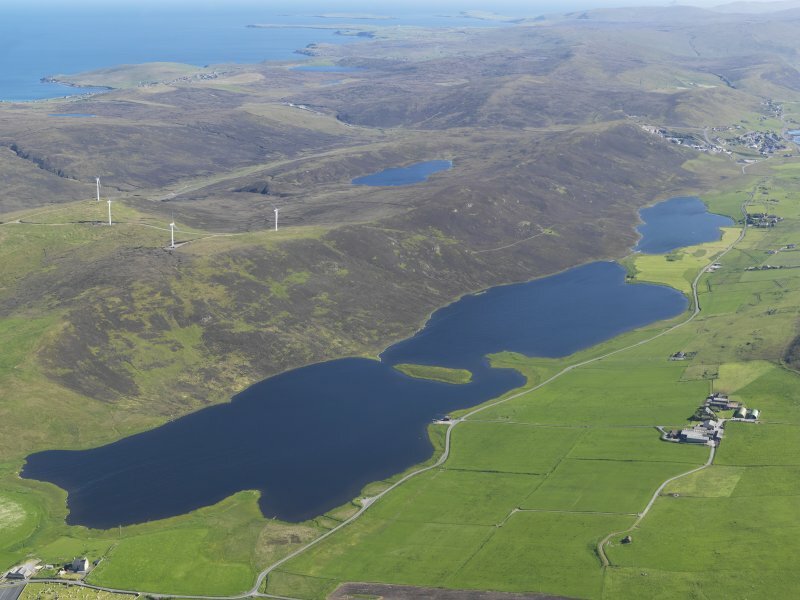 Oblique aerial view centred on the Law Ting Holm, looking S.
General oblique aerial view of the Loch of Tingwall with the Law Ting Holm in the foreground and Scalloway in the distance, looking S.
Oblique aerial view centred on the Law Ting Holm, looking WNW. OS 6" map, Shetland, 2nd ed.,(1903). 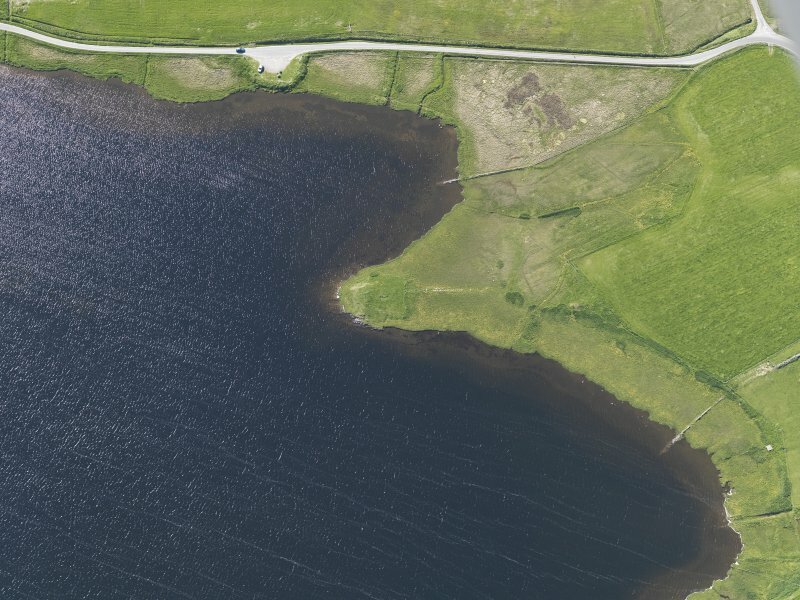 A small promontory, formerly an island [in the Loch of Tingwall], which is locally reported to be the site of the last Ting held in Shetland. 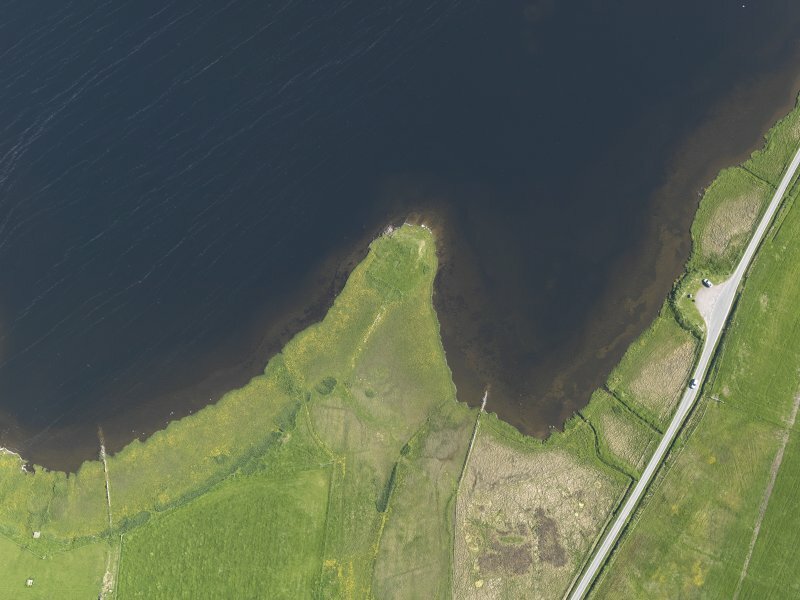 It is approached by a carefully constructed causeway, thought to have been formerly submerged, 140' long and 5'6" wide. 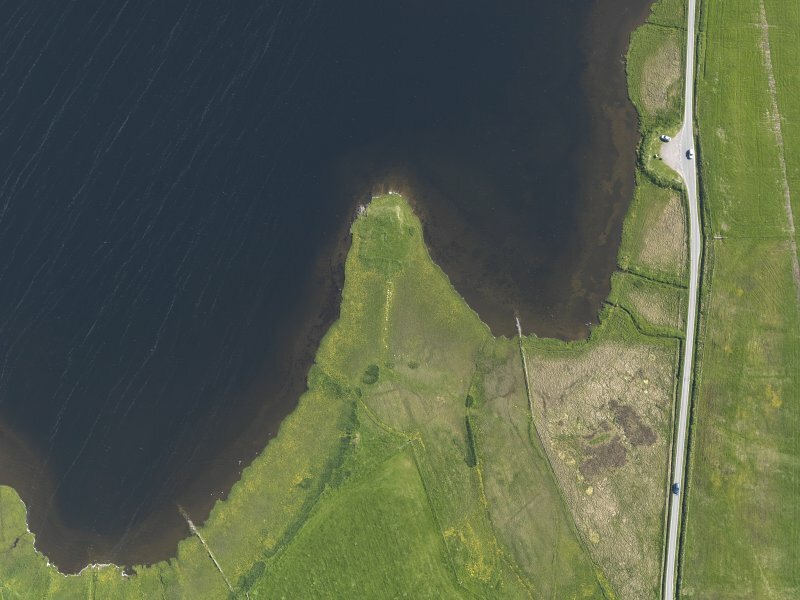 At the outer end of the causeway, where it reaches the Holm, a wall, apparently of no great thickness or strength seems tto have run off at right angles on each side, to enclose the whole island. 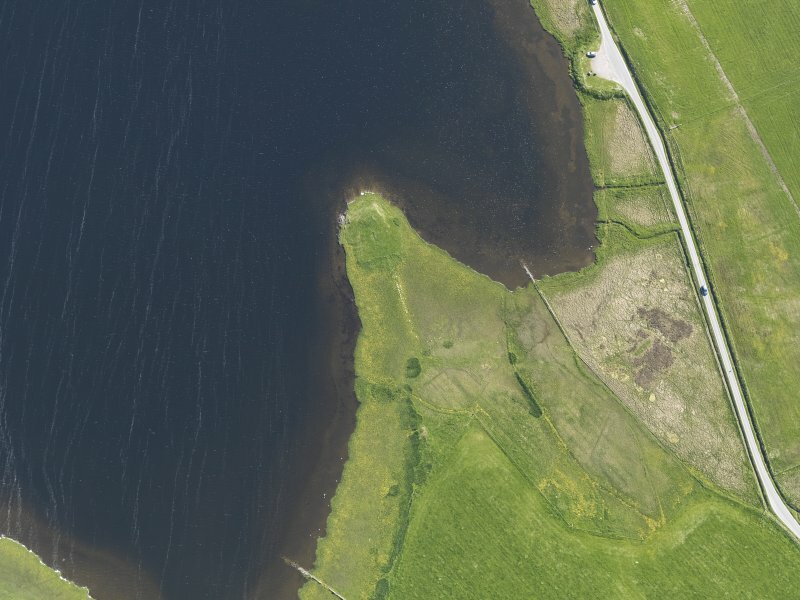 Traces of another wall of irregular outline appear at the landward end of the causeway. It is recorded that the stones on which the 'Ford' and other officials sat were torn up some time in the 18th century it the holm for grazing. (J R Tudor 1883). 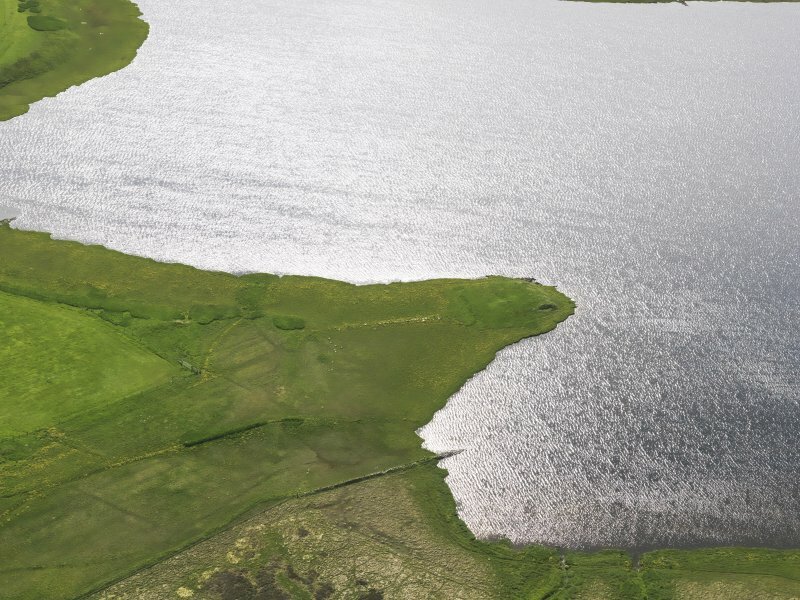 The holm and the land on either side of the causeway, which is as described, has been reclaimed for grazing. 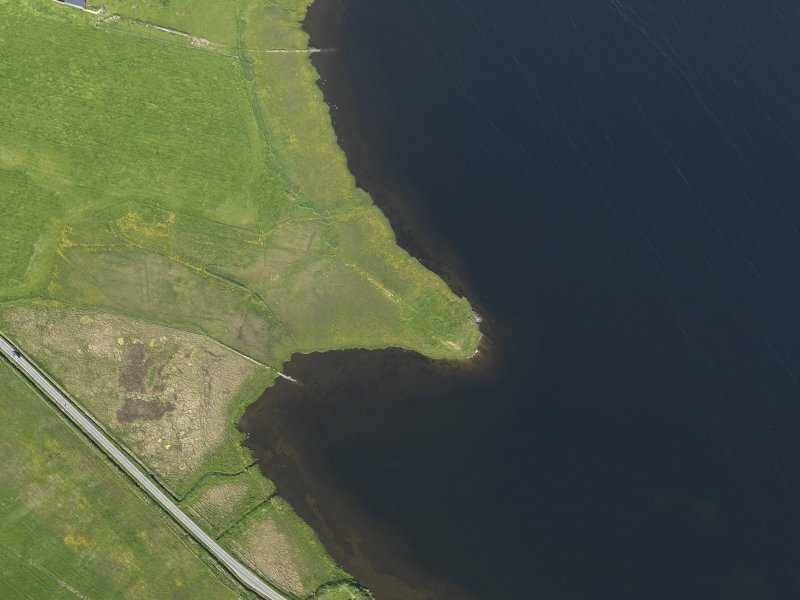 No trace of walling at the holm end of the causeway and the irregular wall at the landward end is an old field wall. Visited by OS (RL) 7th May 1968. Information from Historic Scotland (scheduling notice dated 23 February 1996). 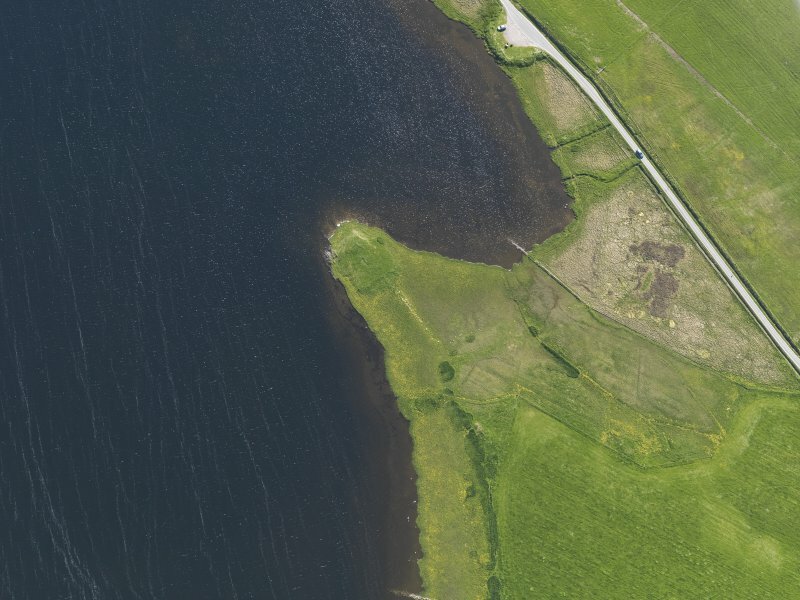 There is also a good view of Law Ting Holm from the carpark on the east side of the loch, where there is an information board. 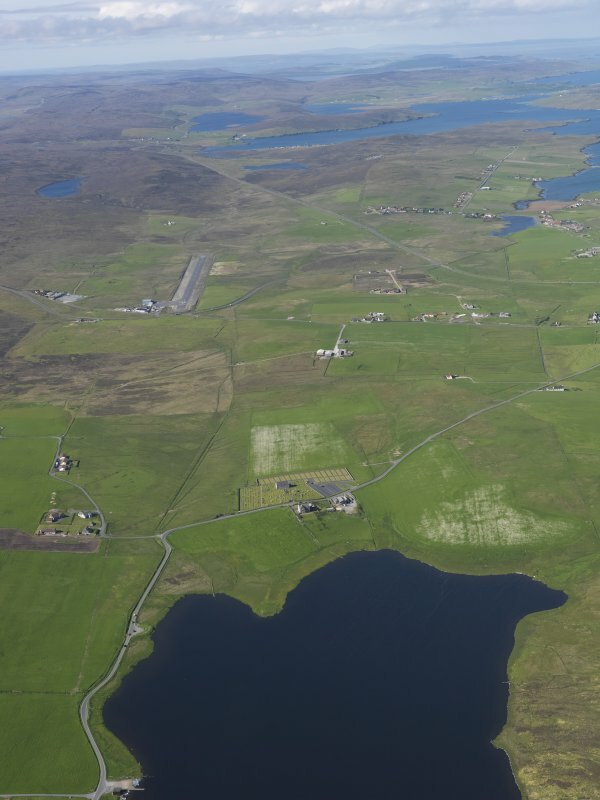 Tingwall was a good central location for an assembly place, and there was plenty of good pasture for the horses while their owners were at the assembly. 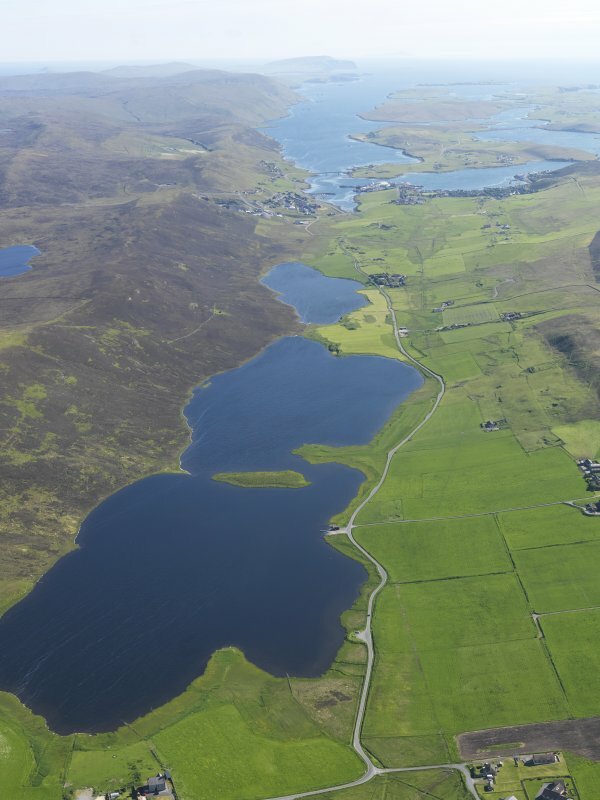 At the north end of the loch is a small promontory with a low mound at its tip, and a stone-built causeway, some 40m long and 1.7m wide, linking the mound with the old shoreline of the loch. 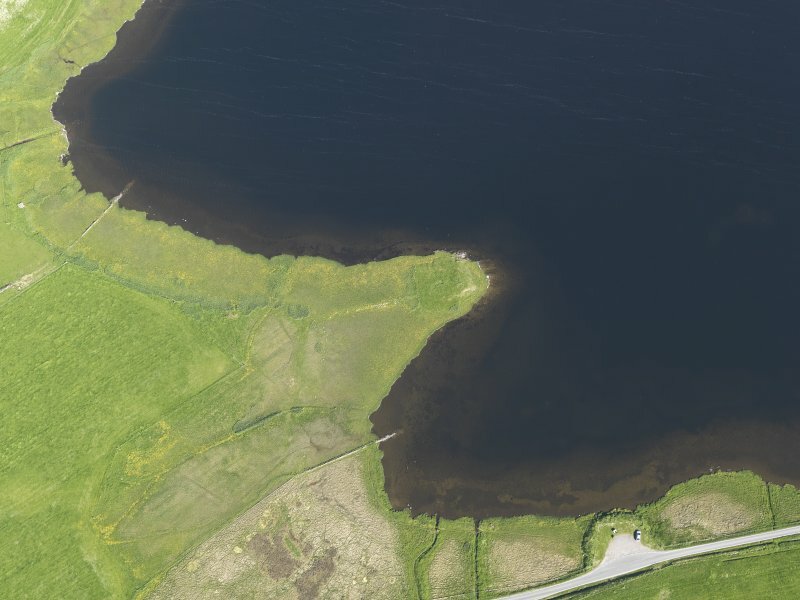 The mound was formerly a small islet, and the ground through which the causeway passes is still very boggy. The site has never been excavated. The holm was presumably the focus for the assembly, for very few people could gather there, and its situation guaranteed privacy. 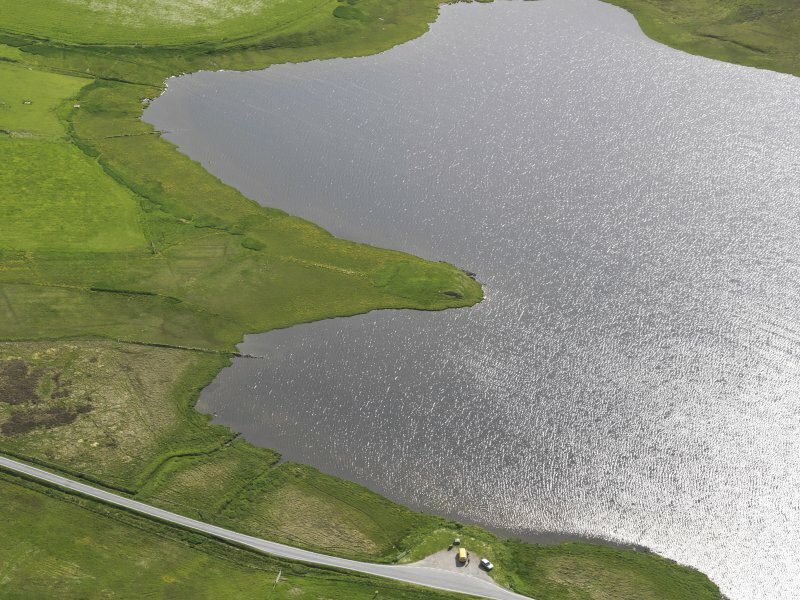 According to tradition, Law Ting Holm was used between the 11th and the late 16th centuries. An account written at the beginning of the 18th century mentions 'three or four great stones' on the holm, where the judge and officers of the court sat, but this was again derived from tradition rather than contemporary information.